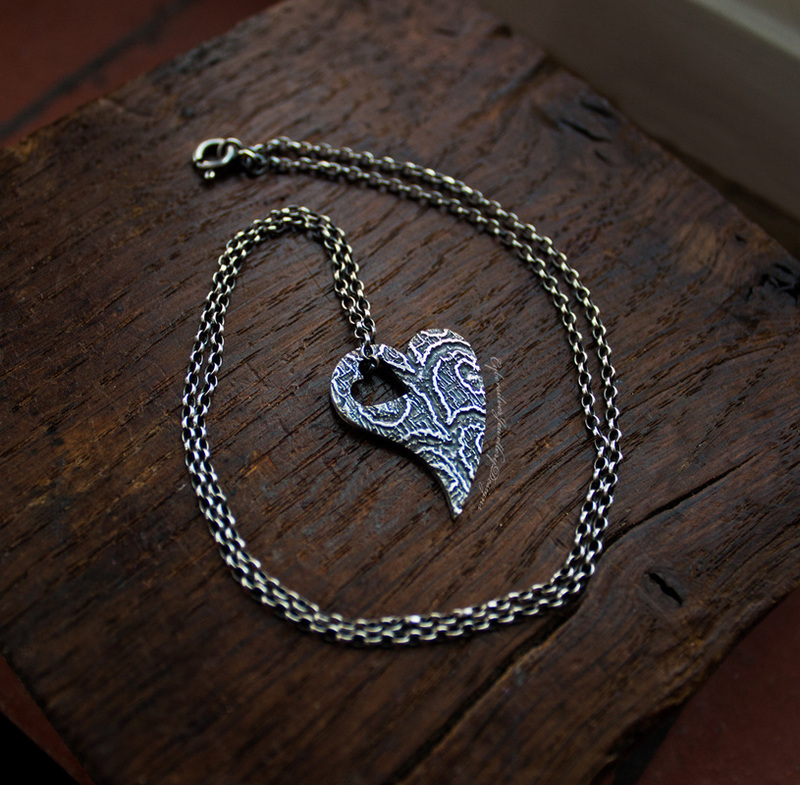 This pretty heart pendant has been constructed from fine silver and has a lovely patterned surface. I have added a heart cut-out detail for the chain to thread through. The sterling silver chain measures approximately 18inches. The silver has been oxidised and burnished to highlight the pattern and then seales with a layer of microcrystaline wax to help protect the oxidised surface. Oxidisation is a surface treatment which can lighten with wear. Delivery - For UK delivery, this pendant is posted first class signed-for. International orders are sent International Tracked and Signed For. I will send you your unique tracking number as soon as I have posted.